It can be very awkward when you notice an unpleasant smell coming from your hair. You can however take some steps to avoid the odor of your hair becoming an embarrassment to you in the first place. Smelly hair syndrome is the main reason for this condition. It is mainly people with oily scalp who have this problem. The sebaceous glands on the scalp become over active and poor personal hygiene, additional exposure to chemicals and environmental pollution, excessive sweating, bacterial and fungal infections and hormonal imbalance are some factors which can cause your hair to smell badly. Smelly hair however is not a serious condition whatsoever. It can be helped by take using some natural remedies and adopting some healthy dietary measures. If the smell keeps on for two weeks or you have additional symptoms like sudden acne or excess hair, consult your primary care physician or a dermatologist. A skin scalp or hair test will check for a fungal infection. Your doctor could also look for other medical conditions. Use lukewarm water to wash your hair. Split it into sections and put the shampoo in for five minutes, and then rinse it with warm water. Split your hair in sections again and put conditioner in for five to ten minutes and then rinse again in warm water. Don’t use an abundance of hair products. Things such as gels, hairspray, hair oils and pomade can increase the amount of oil in your hair. The oil increase will increase the odor as well. Lemon juice is great for your hair as well as your skin, and will leave your hair smelling clean and fresh. It will also promote shiny, smooth hair and fight off problems like scalp infections and dandruff. Take a cup of water and dilute juice squeezed from two lemons into it. After you’ve shampooed, work the mixture into your scalp and hair. Leave it for a few minutes before you rinse it and do this one to two times per week. 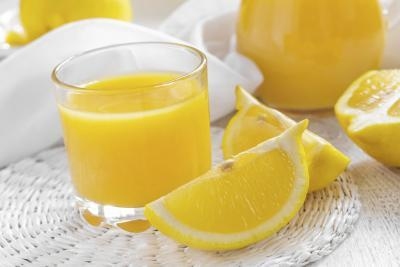 If you have a fungal infection, mix the juice of one lemon with one cup of plain yogurt. Work this into your hair and leave it for thirty minutes and then rinse. Do this one time per week. You may also combine the juice with an essential oil such as lavender or rosemary and leave it overnight on your hair. Do this two to three times per week. Be aware that lemon juice will lighten your hair with long time use. This is one of the most used home remedies for smelly scalp since it helps to lower oiliness and neutralize the bad odors. Mix baking soda and water in a ratio of 1:3. Wet your hair thoroughly and put the baking soda paste on damp hair. Leave this on for around 5 minutes then wash your hair. This works as a natural hair clarifier and takes off the buildup of products which can contribute to oily and smelly hair. It will also help to bring back the normal pH of your hair, plus stop frizz and add shine. 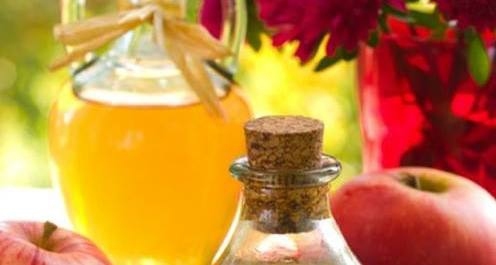 Mix half a cup of organic apple cider vinegar with two cups of distilled water, then put three drops of an essential oil like rose, lavender or others. Spray this through your hair and let it sit a few minutes, and then rinse it out with cold water. You can just rinse your hair with a half tablespoon of the vinegar and a cup of water, leaving it on for a minute or so and then rinsing it out. 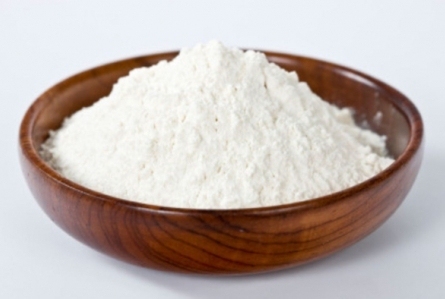 You may use this remedy after the baking soda as well, however do not use it more than twice a week. Regular shampoos, even with multiple applications a day, might not be able to get to the root causes of your scalp odor. You therefor need to use shampoos which focus specifically on lessening oil. Find sulfur shampoos, like dandruff shampoos with colloidal sulfur or ones which have zinc, both are substances that occur naturally. Tar shampoo usually targets conditions like dermatitis and dandruff, but could also help with smelly scalp symptoms. Dermatitis can also increase oil production so both issues need a solution that is similar. This has antimicrobial properties that can cure the problem of stinky hair that is caused by infections of the scalp. It can also reduce dandruff and scalp acne. Dilute some of the oil in water and put it onto your scalp. Leave it for twenty to thirty minutes and then shampoo. You can also use a few drops of tea tree oil in your shampoo. For every two ounces, use two drops of oil and shampoo as normal. You can use either remedy one time per week. Tomato juice helps to take out bad odors from your hair. Plus, the acidity in tomatoes will help to balance the pH level in your hair. Put fresh tomato juice on your scalp. Leave it here for ten to fifteen minutes and then rinse. Do this one to two times per week. Realize that tomato juice will probably lighten your hair. Lavender oil is extremely efficient in eliminating smelly hair, and also helps inflammations and itchiness. It is a very powerful antiseptic and antifungal natural oil, and the great thing about this is it is quite cheap and will last for months. To apply lavender oil, wash your hair with a sulfate free shampoo, dry it with a clean towel and put five to ten drops of lavender oil on your scalp. The best dietary suggestion for smelly hair syndrome is to lower your intake of foods that are very pungent such as onions and garlic. A balanced diet which consists of fresh vegetables, fruits and whole grains will also strengthen your immune system. Drink plenty of water during the day at regular intervals. You should also practice some techniques for relaxation as well since the condition can be triggered by stress. Wash your hair regularly, maintain proper hygiene, frequently change your pillow cover, towel, and hair brush, plus use linens which are made of natural fabrics like silk and cotton and keep the natural home remedies mentioned above for smelly hair to rid yourself of this problem.